It is not what they argue that thunders, but the results: every group speaks as an advocate—consider the arguments of the tobacco industry. The results have been an erosion of income including job benefits for the masses, reduction in social programs, a shift of the tax burden from corporations and those of great wealth on to the masses, and a take over of the media and political system. Unfettered capitalism is not in the public’s interest. Labor has become more productive, yet the worker’s share of the wealth produced has steadily dropped. These flat-world (neoliberal) policies have resulted in the out sourcing of jobs, the flood of tariff-free goods, the flood of undocumented workers, the reduction in the pay for skilled and unskilled labor, the breaking of unions, the reduction of social services, and a shift of the tax burden by a reduction of corporate taxes and the tax on the top 1%. In the past 30 years productivity has gone up over 40%; yet real wages (including benefits) have gone down. Why aren’t workers getting a share of their increased productivity? Family income has remained level because now two earn the income of one. In 1950s, there were very few working mothers. Through their media, the new Robber Barons paint a rosy picture, but the facts thunder a different storm. In the pursuit of their short-term and global interests the neoliberals are having us revisit 1929: they have brought this nation to the brink of economic collapse. Financial market speculation has increased at phenomenal rates. The daily volume of foreign exchange transactions has risen to $2.7 trillion dollars daily. The U.S. has a greater foreign debt (measured as a percentage of GDP) than was held by those nations that have in the last 2 decades, because of economic crisis, defaulted upon their foreign-debt obligations. Servicing government debt is now the third biggest item (over $398 billion) in our budget. And our nation is being bought up by foreigners made fat by our trade deficit ($657 billion in 04, and rising). The manufacturing foundation of our economy has been eroded to under 15% of employment. All this increases the likelihood of an economic crisis (collapse). From 2000 to 2006, the dollar has depreciated against principle foreign currency the EURO by 38%--thus giving an illusion of rising oil and mineral prices. In 2006 the total value of the EURO in circulation surpassed the USD. This drop in the dollar along with rising interest rates occurs to keeps foreign dollars in this country. Our government must sell new T-bills for to raise the funds to replace those that have matured. Foreign nations and banks hold over $1.2 trillion. Our instability is making the EURO the global currency. But the flat worlders have a global agenda. Since 1972 disposable income of workers has steadily dropped, even though their productivity has increased 45%--where has this gain gone? The U.S. ranks 4th in GDP per capita, yet is 92nd in distribution of key benefits—UN stats. All this has occurred to our nation because neoliberal policies have rolled back the wisdom that got us out of the Great Depression and carried us forward following WWII. The multinational corporations have been changing, through political alliances, the soil of government regulations; thus like a foreign weed they are chocking out native industries, principle through their imports. These corporations, many of them homegrown, are no more American than Toyota and Shell Oil. They have moved their corporate head quarters off shore to avoid taxes, and their factories overseas for its cheap labor. Yes, a flat world is good for them, but not for our nation. The market place needs regulations: regulations for safe and effective drugs, safer, energy efficient, & more dependable cars, safer work place, clean air and water, honest advertising, etc. Capitalism needs regulation to assure a decent wage, medical benefits, retirement benefits, and decent working conditions. All these regulations affect costs, and business is about maximizing profits. There is a fundamental, centuries-old conflict between profits and people. There is a need for commerce laws to protect local industries from cheaper imports based upon 3rd world wages. But the treaties our government has signed have done away with tariff laws, environmental laws, labor laws, etc. It’s all about globalization. Neoliberals tell us of the virtues of unrestricted capitalism. They promise developed nations cheap goods and more technocratic jobs, and they promise the 3rd world peoples more manufacturing jobs and tariff free imports to the developed nations. They make the arguments and promises of a sales person pleasing their prospects. They have delivered neither. They have outsourced technocratic jobs, and continue the traditionally low wages in the 3rd world. Thirty years of stagnation and worse proves the case against them. What they are about is globalization, for they represent business and banking on a global level. Where is our 2-party system—in bed with the Robber Barons. The Democrats passed NAFTA, and Bush & Chaney sleep with Wolfowitz—whom they made head of the WTO. The combination of political donations and corporate media has made political success dependent upon the support of the neoliberal Robber Barons. Greed is greed, and what benefits one group comes at an expense to the remainder of society. They have fed the people a false data basis—propaganda and advertising work. Our corporate media have sold the public on the virtues of neoliberalism and the elimination of economic regulations. The nation’s richest 1 percent of the population is holds financial wealth (which excludes equity in owner occupied houses) that is more than four times as much as the bottom 80 percent of the population. And our government has drastically lowered the tax rate for the top 1%, and also for corporations—a shift in burden. Neoliberalism is not about the public weal, but globalization and the top 1%. They and their media wear a much different face. Neoliberalism and neoliberals have various other labels: globalization, corporatism, flat worlders, neocons, neoconservatives and the one I prefer, the new Robber Barons. They stand for a form of laissez-faire capitalism,* which only they, like members of a church, tout as the way and path—reason and evidence are damned. The phrase, robber baron, was used to describe the situation that existed in many parts of the world. Common to many regions consisting of small fifes, the local young men under the head of a chief would exact from a group of travels a fee for passing through their territory. Robber baron in this country was first applied to railroad magnates. It appears in an 1880 anti-monopoly pamphlet for farmers in the Kansas region. It soon was extended to the powerful U.S. capitalists of the late 19th century who in the pursuit of wealth exploited labor, formed alliances with legislators and judges, manipulated financial and trade markets, polluted the environment, and eliminated competition. Their goal was to maximize profits. This label for leading capitalists continued in common usage until the 1950s. Much like the written history of a war devoting considerable space to the generals, similarly is the history of U.S. industrialization following the Civil War about the Robber Barons. The ruthless tactics of these barons of trade were described by the economist and sociologist Thorstein Veblen in The Theory of the Leisure Class (1899). Veblen compared the powerful industrialists and bankers to the barbaric barons, for they lived off the spoils of conquest. Their care of and for their workers he compared to that of farmers to their farm animals. He also devoted considerable space to the conspicuous consumption of the leisure class. Wit and insight made his book a best seller; and it became required reading for several generations of college students. American journalist Matthew Josephson in 1934 wrote the Robber Barons, another bestseller (still in print) that exposed their world. He stressed their business practices and in the last chapters their conspicuous consumption. I borrowed this book from my elementary school library, and 30 years later from a local library. Things haven’t changed that much, except the consciousness of the masses, for now we don’t call the CEO’s of major corporations robber barons. The robber-baron era is a history that our corporate press has rewritten. The continuing abuses chronic to capitalism are barely covered in their press. There has been a de-evolution of mass consciousness: conspicuous consumption and robber barons ought to still be in common usage. That which is against the common weal ought to be a pressing concern of the common people. *Adam Smith was not one of them, and the usage they make of him is totally unjustified. Popular writing in this connection is far below the zero of knowledge or common decency. 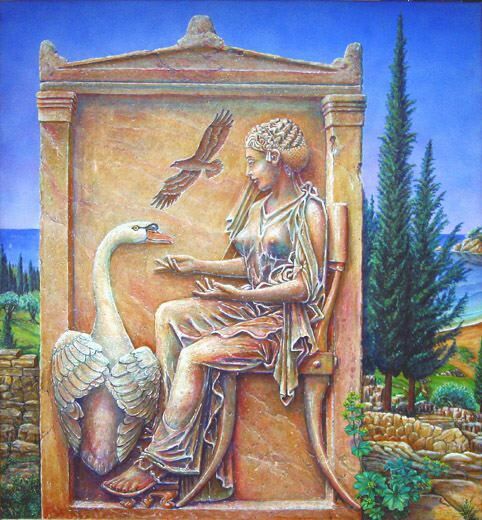 On this plain not only is any real knowledge of the classical writers nonexistent, but their place has been taken by a set of mythological figures passing by the same names, but not infrequently invested with attitudes almost the exact reverse which the originals adopted. These dummies are very malignant creatures indeed. They are the tools or lackeys of the capitalist exploiters. I think that has the authentic stylistic flavor. They are extremely indifferent to the well being of the working classes. Hence when a writer today wishes to present his own point of view in a special favorable setting, he has only to point to these constructs with the attitude of these reprehensible people and the desired effect is produced. You’d be surprised how many well-known authors who have resorted to this device.—Lionel Robins—1939, Lectures for the London School of Economics. Found in Books on Tape Disc II, track 1, 1:30 ff., The English Classical Economists.